The team that would appear to present the chief opposition to Gareth Southgate and England in Group G, Belgium were the first European nation to join hosts Russia at this summer’s finals. 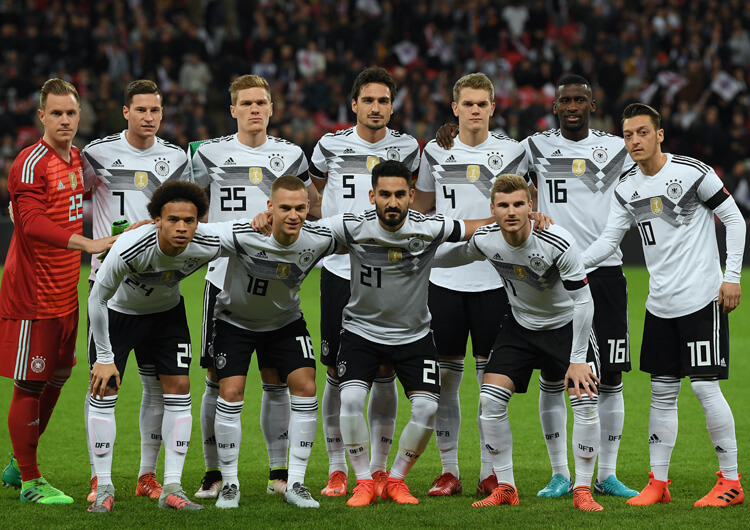 They remained unbeaten throughout qualifying (one of only four European teams to do so), joint top-scoring with Germany on 43 goals while conceding only six. Roberto Martinez and his squad, featuring a whole host of familiar Premier League names, got their campaign under way with a convincing 3-0 win in Cyprus. 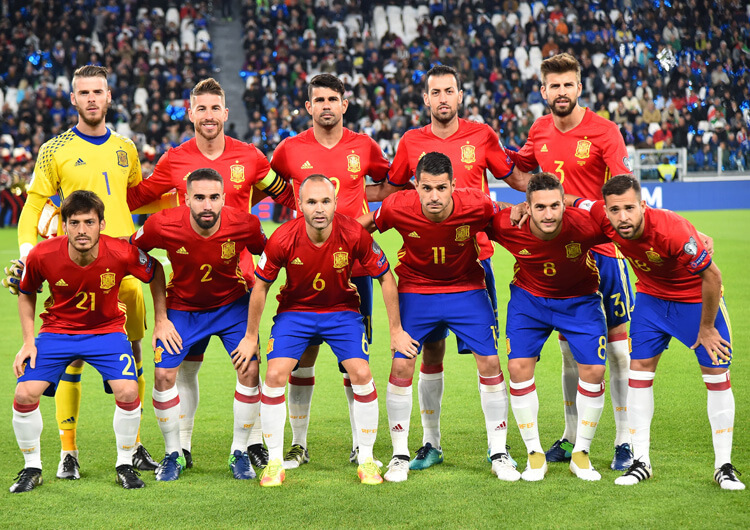 They kicked on from there, scoring 18 goals in their next three qualifiers against Bosnia & Herzegovina, Gibraltar and Estonia to take control of an admittedly weak pool. 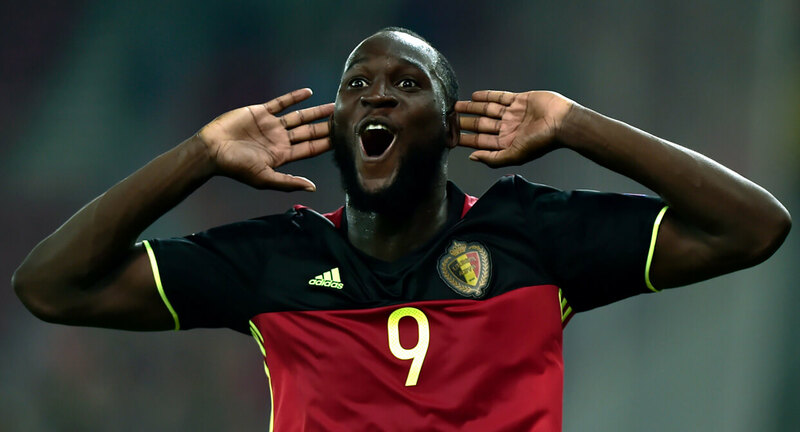 Despite needing a late Romelu Lukaku equaliser to rescue a point at home to Greece in their next fixture, Belgium stormed through the remainder of their matches, eventually confirming their place at the World Cup after an eventful victory in the return match in Piraeus. Belgium confirmed their place at the 2018 World Cup with a hard-fought victory in Greece. The home side started brightly, and almost went ahead when Kostas Stafylidis rattled the post from range, Thibaut Courtois getting just the faintest of touches on its way through. Three goals decided the game in four electric second-half minutes, however. Belgium went ahead courtesy of a well-struck long-range effort from Tottenham Hotspur central defender Jan Vertonghen. FC Copenhagen midfielder Zeca equalised with a wonderfully controlled volley three minutes later, but within a minute the visitors were ahead once more. A typically towering header by Romelu Lukaku (above) was to prove the winner as Belgium secured their spot at the World Cup for the 13th time. Although already qualified, Belgium started with a near full-strength side – and duly edged a fast-paced contest featuring seven different scorers. Thomas Meunier (below) put Belgium ahead in the fourth minute, but the hosts turned it around and led 2-1 at the break. Belgium fought back to lead 3-2 through Michy Batshuayi and that man Vertonghen again, but Bosnia again replied with only eight minutes left. Yannick Carrasco slid home a fourth Belgian goal soon after, and this time they held on. This match did offer potential opponents an insight into possible defensive frailties in the Belgium back line, however. Bosnia, like Greece before them, created a host of chances beyond the three goals they actually scored. The difficulty with Belgium, though, is stopping their impressive array of talent at the other end. The powerful central defender Vertonghen began his career at the prestigious Ajax youth academy and, after an early move back from midfield, was soon a key part of the Dutch side’s central defence. After impressing various European scouts, a move to Premier League side Tottenham followed in 2012 – he has been in north London ever since. The 31-year-old, who at the time of writing sits on 99 caps, provides excellent stability across a variety of defensive positions. Predominantly a central defender, the left-footer can also play at left-back and, if needed, as an attacking left-sided wing-back. For Belgium, however, he is an obvious fit to start on the left of Roberto Martinez’s preferred back three – where, as with Spurs, his comfort on the ball allows him to help the build from deep. Vertonghen is also a threat in the opposition’s penalty area. He scored crucial goals against both Greece and Bosnia during qualifying, and is already off the mark at the finals – he scored against South Korea in the group stages four years ago. 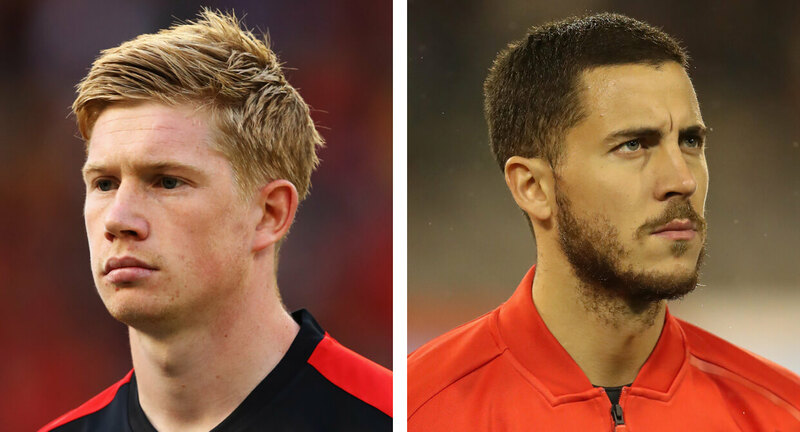 One of the Premier League’s outstanding performers, De Bruyne (below, left) is not surprisingly an integral part of Belgium’s midfield. Despite a promising move to Chelsea from Genk in the summer of 2012, he struggled to break into the starting line-up and instead looked to Germany – first in a loan spell at Werder Bremen and then with a move to Wolfsburg – to rebuild momentum. It worked. Since returning to England with Manchester City in the summer of 2015, De Bruyne has been superb. Most regularly used in an attacking midfield role, he has developed into a hugely versatile operator under Pep Guardiola, who has often used him in a deeper position from where he can influence short builds from the goalkeeper. It will be interesting to see if Martinez chooses to follow suit with one of his star men for Belgium. De Bruyne turns 27 on the day his team faces England in what could prove the group decider. Having scored one and assisted two in Brazil four years ago, he could be approaching his peak for his second shot at a World Cup. The quick and nimble Hazard is guaranteed to bring skill and trickery to any attacking line-up. Thrust into the limelight as an exciting winger with French side Lille, the young Belgian soon attracted the attention of big clubs across Europe. It was Chelsea who won the race to sign him, however, and in six seasons in west London he has become one of the club’s most influential players – his medal haul in that time includes two Premier Leagues, a Europa League, a League Cup and, just this season, an FA Cup. For Belgium, Hazard is regularly used as a wide forward driving inside from the left. He has played the same role for Chelsea, but he has more commonly been used in central areas, either supporting the main striker or as a false nine. With Romelu Lukaku set to start as a lone forward in Russia, it looks likely he will reprise his wide-left role – but, now captain of the side too, he will be keen to open his World Cup account after registering a blank in Brazil four years ago. Martinez became Belgium’s head coach in August 2016. Despite having no prior international management experience, he succeeded coach Marc Wilmots, who left his post only two weeks after their surprising Euro 2016 quarter-final defeat to Wales. Before Belgium, Martinez’s managerial experience had been gained exclusively in the English leagues. He took over at Swansea City, where he had spent three seasons as a player, in 2007. Having won the Swans promotion to the Championship in his first season, a move to the Premier League – with another former club, Wigan Athletic – followed. Here, he won his first and only major trophy – the 2012/13 FA Cup, beating Manchester City in the final – but couldn’t save his side from relegation in the same season. His final managerial role came at Everton – where, despite initial success, he was sacked with one game remaining in his third season. 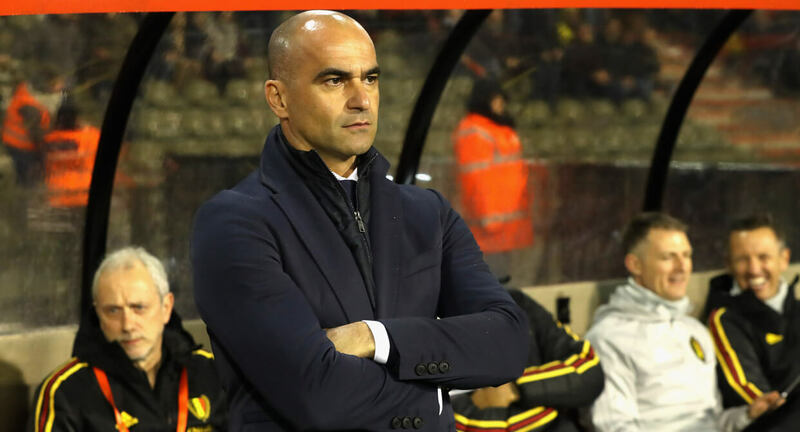 Although he lost his first game in charge – a 2-0 friendly defeat against Spain – Martinez subsequently guided Belgium unbeaten through qualifying. He is a huge advocate of a possession-based approach, which is often extremely expansive. During his 17 games in charge, his side has averaged 60 per cent possession, with an average pass accuracy of 87 per cent. It’s anticipated that Belgium will look to continue this approach throughout the tournament, no matter which team they face. Major critics of Martinez, who turns 45 two days before the World Cup final, claim his teams are too expansive and too often open to the counter-attack. If he starts with a defensive back three in Russia, it is likely that the accompanying wing-backs will be very attack-minded – thus leaving space behind into which opponents could easily transition. It is no coincidence that, since Martinez took over, Belgium have been on the wrong end of an average 15 counter-attacks per game. During the 10 qualifying matches, Belgium set up with a back three on eight occasions, using a back four in the remaining two matches. The Tottenham pair of Jan Vertonghen and Toby Alderweireld (above, right) were almost ever-presents when the back three was chosen, occupying the two wider roles with the central spot rotated. A back three will naturally provide more cover in central areas and can aid with short build-up play using the goalkeeper. Compared with teams who build using only two central defenders, the back three has much more stability should possession be lost. When using only two central defenders, a midfielder would usually drop deep in between his defenders, creating three short options for the goalkeeper. However, this is less secure than a traditional central defender, and perhaps partly why Martinez prefers the extra strength offered by the back three. To accompany his back three, the manager often uses more attack-minded players – nominally, PSG’s Thomas Meunier and Yannick Carrasco, now plying his trade in China – as wing-backs (above, left). To counter this, Martinez should look to include at least one defensively minded central midfielder: Axel Witsel and Marouane Fellaini would be the obvious options here. Martinez will have to make a call on how he supports his central striker. This decision will then have a direct ripple back through the team, to the midfield and possibly even defence with regards to formation. The most common set-up throughout qualifying was to use Romelu Lukaku as the number nine, often with wide players supporting him in a front three (above, left). If Martinez is looking for a proven goalscoring threat, a trio of Lukaku, Eden Hazard and Dries Mertens could provide that killer attacking instinct. Both Hazard and Mertens would also look to combine with Lukaku in central areas, creating space for potential wing-backs to overlap. From here, Belgium could use the aerial power of Lukaku to attack crosses from both sides. Setting up as such would enable the coach to select two more defensively minded central midfielders to sit in front of a back three. Alternatively, Martinez could encourage more central runs from deeper positions (above, right), utilising more attacking midfielders such as Kevin De Bruyne and Moussa Dembele to offer direct passing and dribbling from the central channel. For most positions, Martinez has very good back-up options, should any of his preferred starting XI get injured or suspended throughout the tournament. The squad, which is trimmed from its preliminary 28 to the final 23 this weekend, also offers great variety and flexibility within his expected 3-4-3 formartion. The head coach currently has enough cover for all three central defensive roles. It is likely that Martinez will opt to start with defenders who are comfortable in possession, particularly as Belgium will lose a central midfield overload by going with a back three. Within central midfield, he can create and combine various pairings depending on the strengths and weaknesses of the opposition. Powerful players such as Moussa Dembele (above, right), Marouane Fellaini, Axel Witsel and Leander Dendoncker all offer strength and aggression within the midfield. If needed, however, Martinez also has plenty of technical ability in there too – Kevin De Bruyne and Youri Tielemans are the most obvious names who can provide genuine cutting edge when in possession.